If you thought Halloween and Christmas were big now in Japan (see Cosplay in Japan and O Half-a-Christmas Tree), the end of the year and the New Year that follows are simply a celebratory season of festive fun and occasion, often to an elaborate degree. 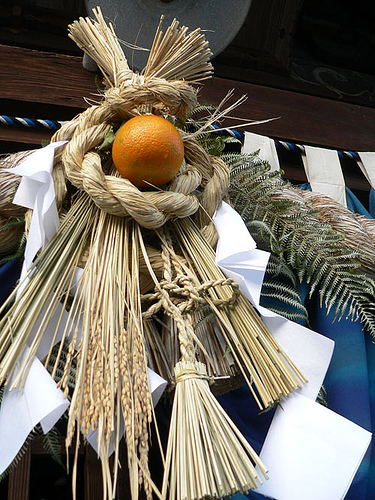 Although traditionally the period around New Year’s in Japan (お正月 oshōgatsu) is one of the times in the year for family to formally come together, the holiday has a far larger and longer cultural and temporal reach. 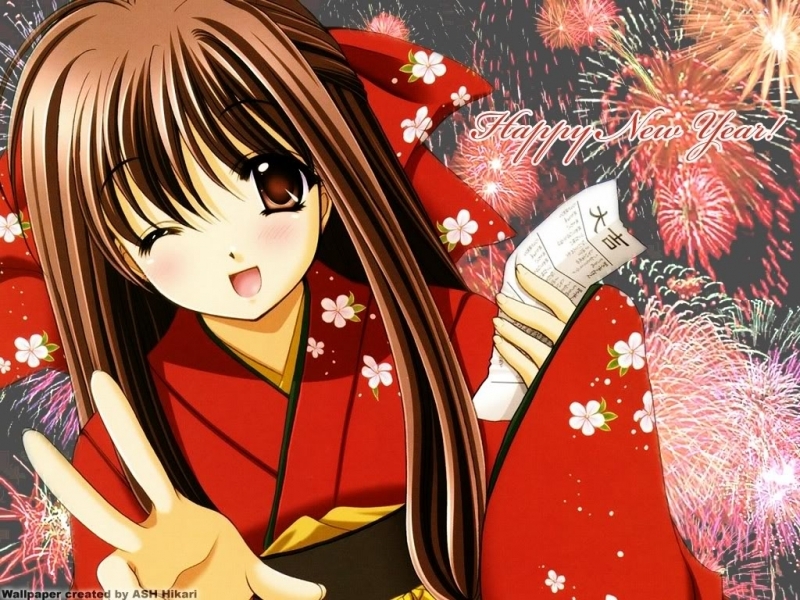 The New Year in Okinawa is actually celebrated twice, first based on the Gregorian (sometimes referred to here as the “baby New Year”) and then by Lunar (Asian) calendars, which seldom if ever coincide. 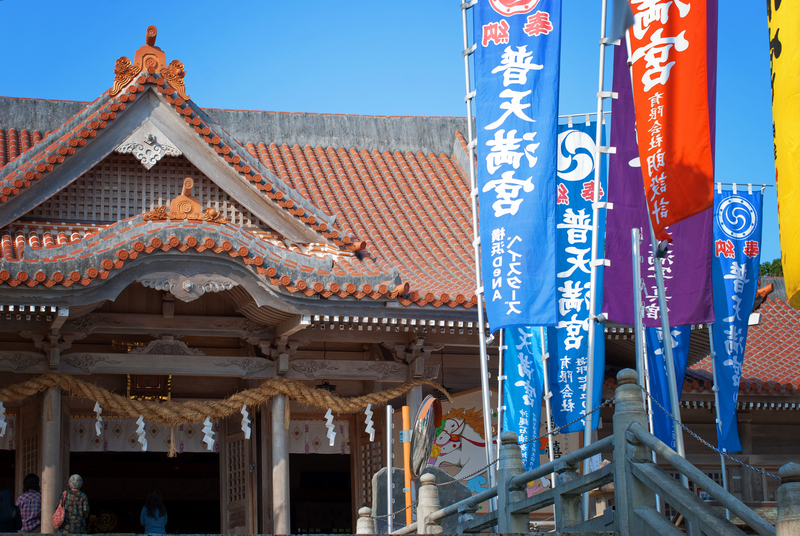 Although the Japanese have used our calendar for official and cultural New Year’s celebrations since 1873, here in the Ryukyu Islands (of which Okinawa is the seat), a separate cultural New Year is still celebrated based on the Chinese New Year, widely throughout broader Asia, as a remnant of Okinawa’s close historical ties with China throughout the ages. 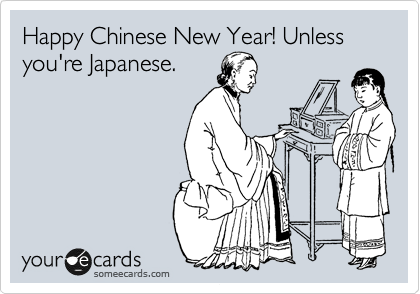 Unfortunately for us, we’ll be in Kyoto for the Chinese New Year. But fortunately for us, we’ll be Kyoto!! Japanese businesses and employees often hold festive bonenkai (“forget the old year parties”) throughout December, and similar shinnenka parties are held in January to welcome the New Year. These are not formal events, but more traditional social get-togethers, were intoxication is expected and a night’s indiscretions are customarily forgotten at work the next day. This is one idea the West needs to import from Japan! 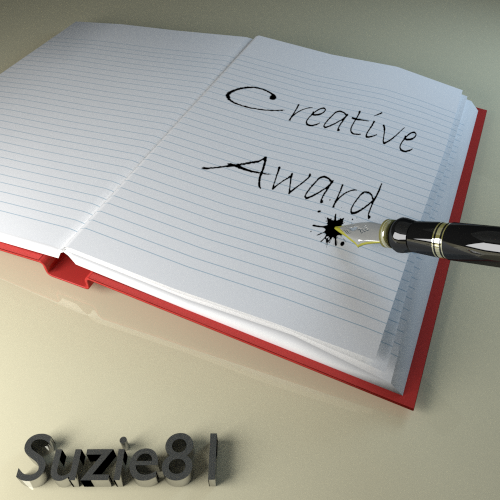 There’s probably some indiscretion here…. 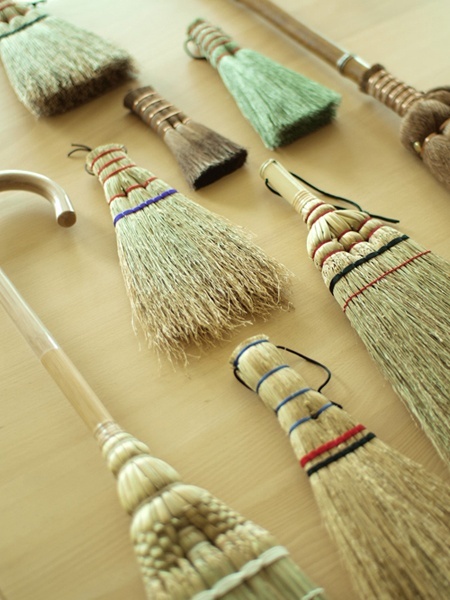 It is also during this time that houses and some personally-owned businesses are cleaned in an ancient Shinto custom called susubarai (“exorcism or purification of the soot,” sometimes referred to as osoji), a chance to purge physical spaces of the last vestiges of the old, passing year in order to start anew with a clean slate. We were surprised at just how extensive these cleanings could be – many of our local businesses were closed but not idle; we could see all their furniture piled up outside as the inside underwent its ritualistic cleansing. Shimenawa are iconic here at this time of year. Made up of sacred rope woven with straw decorated with white stripes of paper, these are topped with an auspicious Japanese bitter tangerine (橙 daidai). Daidai originally means “several generations,” a reference to this fruit’s custom of staying on the tree for several years if not picked and its color returning to green in the spring. Thus, they reflect wishes for good, long life through the years and generations of the family. 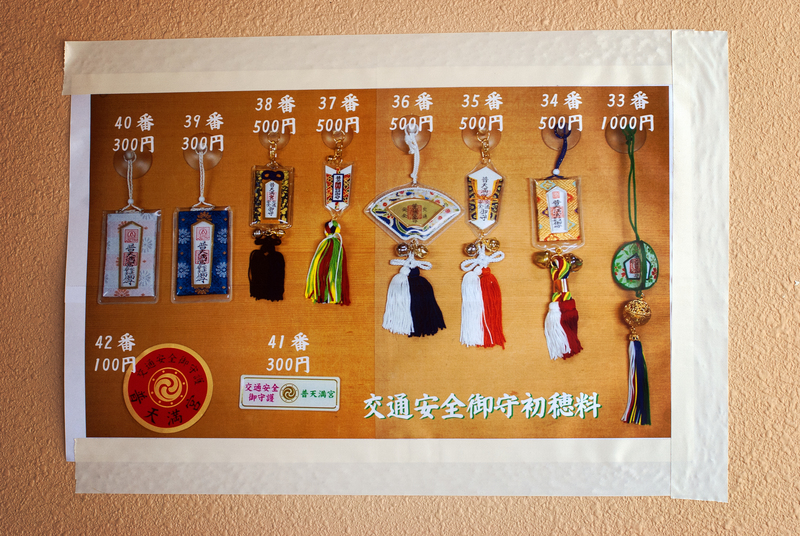 The completed talisman are then hung over entrances to mark dwellings as a temporary abodes of Toshi-Gami (New Year deities), which are gladly accepted. 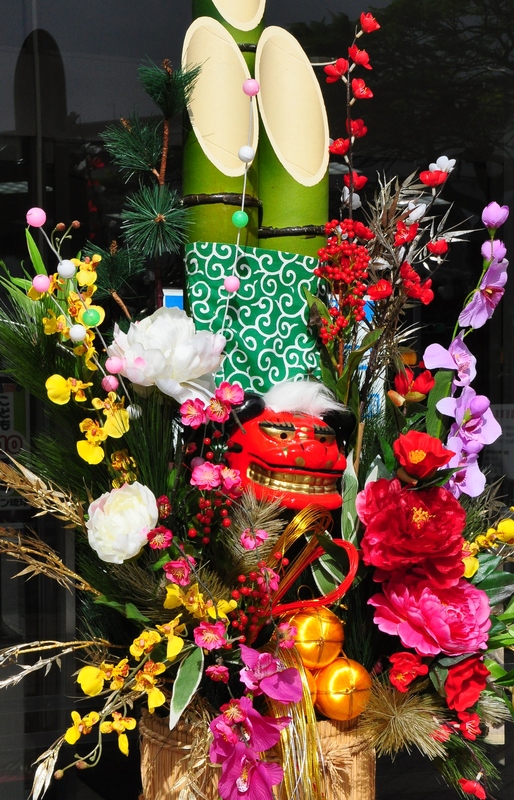 Finally, kadomatsu (門松, literally “gate pine”), an arrangement of pine, bamboo and ume tree sprigs representing longevity, prosperity and steadfastness respectively, are often placed in pairs on either side of thresholds to welcome and temporarily house ancestral spirits. We have a set outside our door, but I’m not sure anyone is visiting. I do believe they help spiritually guide our directionally-challenged feline friend back to the correct condo door…since they all look exactly alike! The doors, not the cats. Gaijin Dinner Guests at the Quiet (but busy) Sea Garden. New Year’s Eve (Omisoka) observances, while becoming more and more Western, are not nearly as party or drink0-oriented as ours. In fact, I was pleasantly surprised to easily get a reservation at one of the nicer but smaller restaurants in our neighborhood just a couple of weeks ago. The time just before midnight is usually quiet and reverent, although firecrackers are commonplace as an ancient Chinese tradition thought to ward off evil spirits. There was a nice fireworks display given at our local American hangout, American Village, but which itself was not overly crowded or boisterous…by US standards. 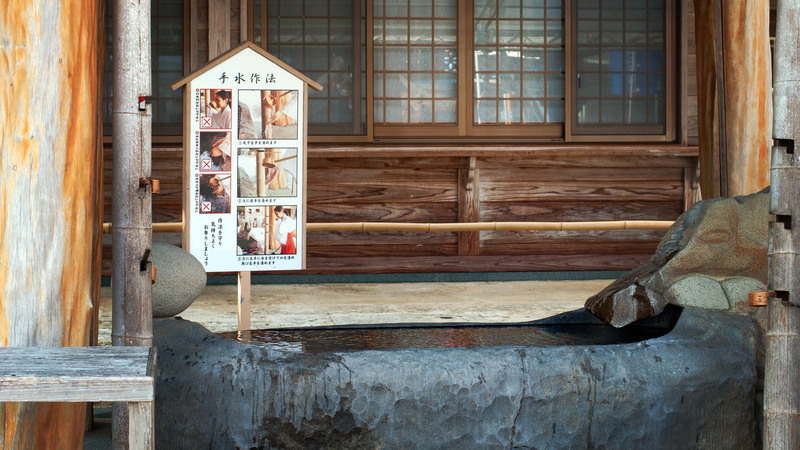 Most traditional Japanese will visit their local shrine or temple at midnight. 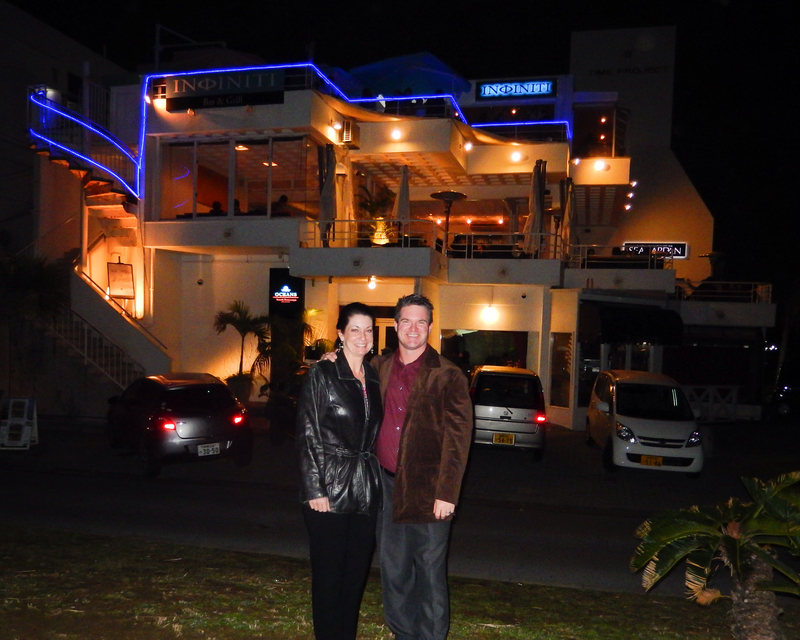 Although we did share our late-night dinner with a fair amount of well-dressed and happy, young, and perhaps less traditional Okinawans, the urban seawall where we live was relatively quiet. 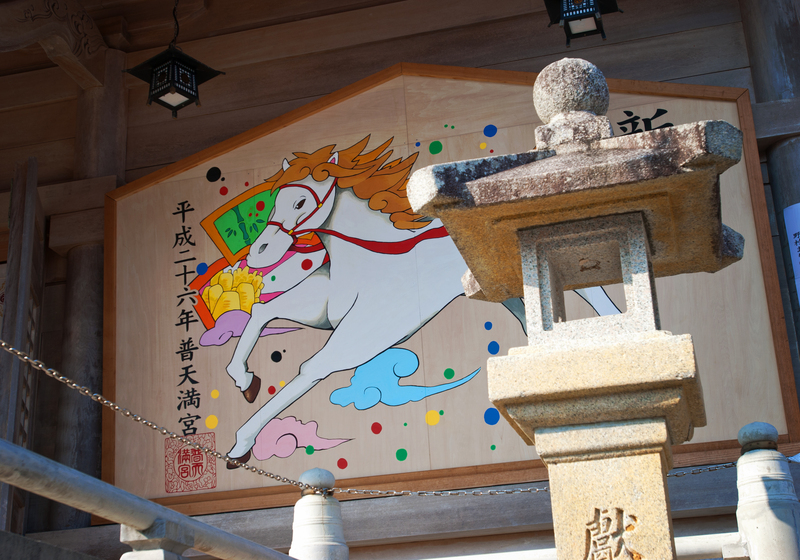 Hatsumōde (初詣) is the first Shinto shrine or Buddhist Temple visit of the Japanese New Year, traditionally called for between the 1st and 3rd of January. This visit is so important that the vast majority of businesses are closed during this period (29 December – 3 January) to allow their employees wide latitude for this visit, where wishes and prayers for the new year are made (the closest analogy to our New Year resolutions), new omamori (charms or amulets) are bought, and old ones are returned to the shrine so they can be burned (to release whatever spirits may reside in them). 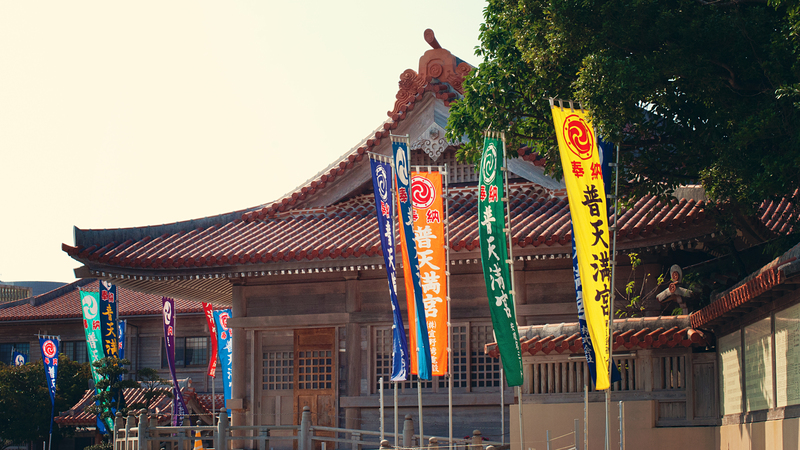 Thus, there are often long lines at major shrines throughout Japan and Okinawa. During the hatsumōde, it is common for men to wear a full kimono, a now very rare occurrence here, with many families making their pilgrimage in their finery. The act of worship at the shrines and temples is generally quite brief and experienced individually, but more extensive domestic worship usually is included with family and relatives at home in a more intimate setting. 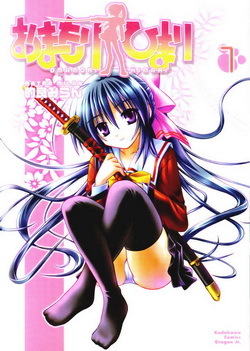 Anime character Omamori (Good Luck Charm) Himari. Bad luck if you’re on the other end of that sword…. 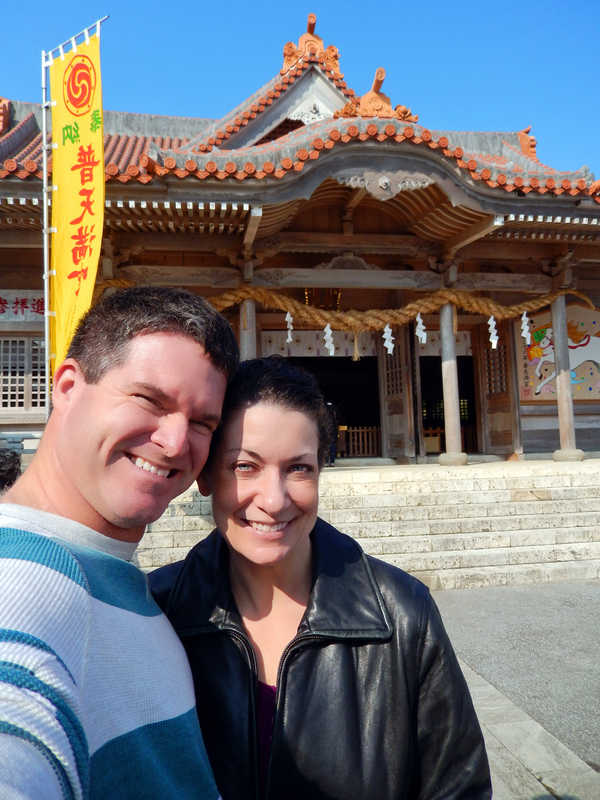 We decided to make our own tradition and visited one of Okinawa’s most popular Shrines the day before New Year’s! I’m not sure this would meet the de facto assertions of the Shinto faith, but I do believe that God will understand. 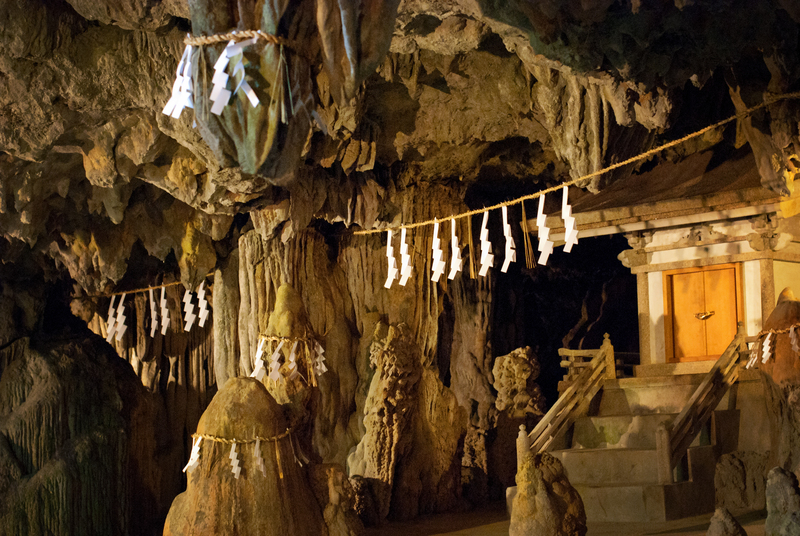 By visiting early, we had ample time to explore the Shrine and its sacred cave (you must ask for entry, but does not require a guide), and contemplated our well-wishing for the coming year before drawing our fortune and leaving our prayers. 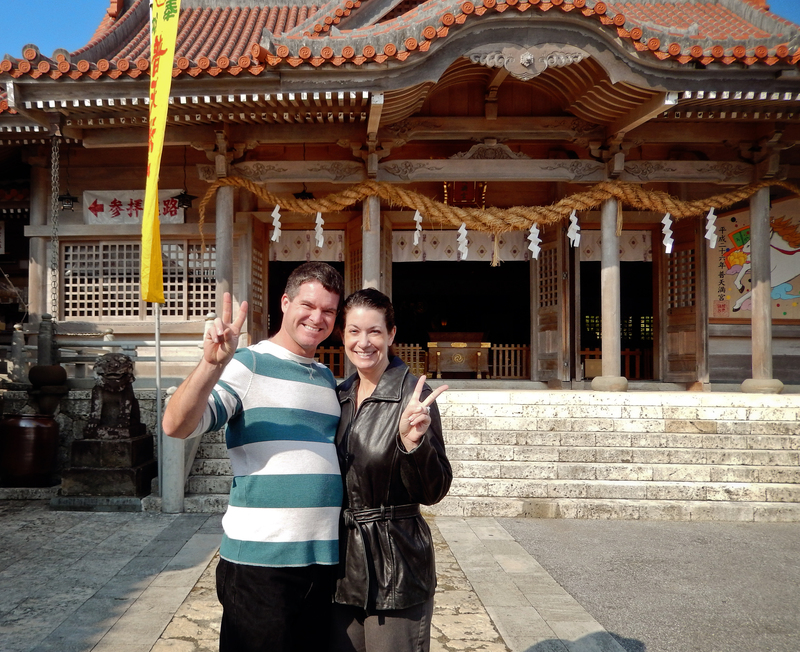 First we entered through the Torii – a timeless Asian symbol designating sacred ground, and conducted a cleansing ritual on ourselves, conveniently outlined by a picture board for the many foreigners who visit. 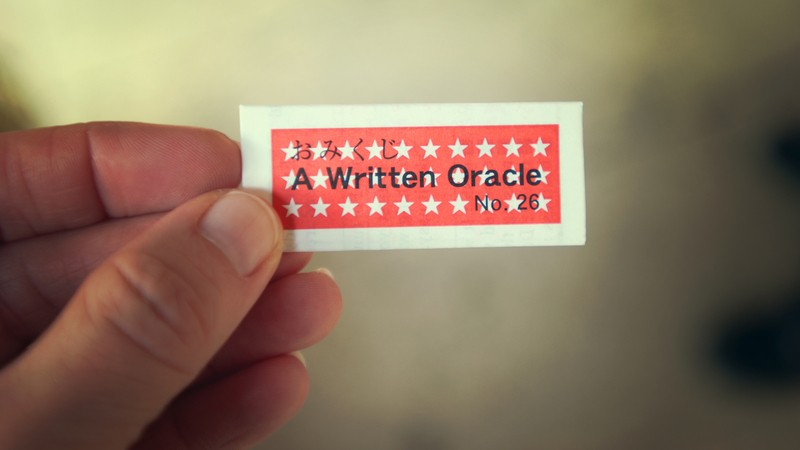 A common custom during hatsumōde is to buy a written oracle called omikuji. The omikuji goes into detail about the coming year, but like most fortunes, they are vague and can be interrupted pretty much anyway one would like, thereby ensuring their continued popularity! 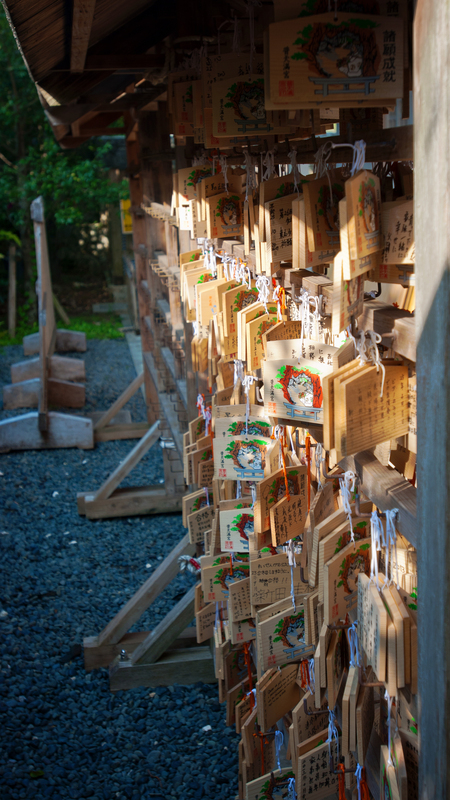 If your omikuji predicts bad luck you can tie it onto a tree on the shrine grounds, in the hope that its prediction will not come true…. SHUT THE FRONT DOOR! 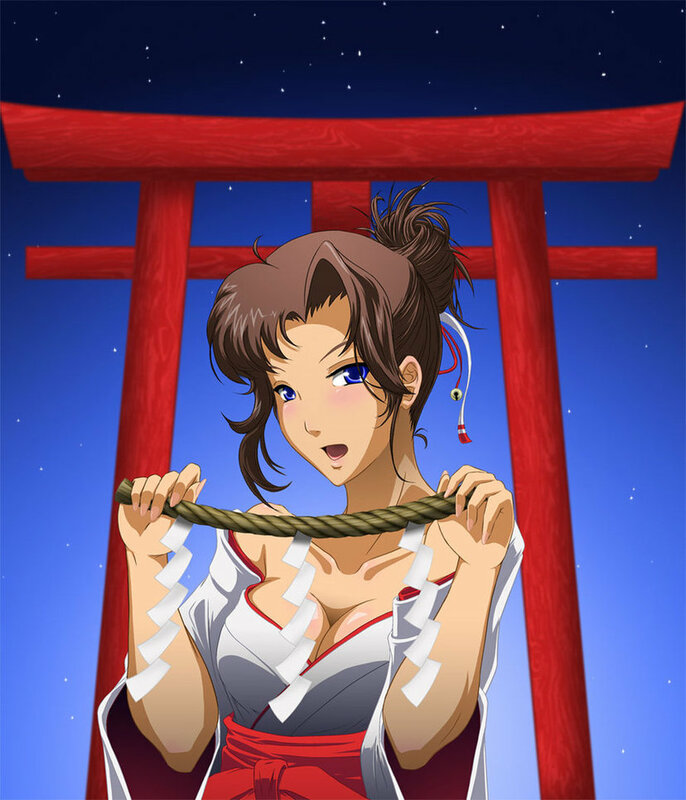 Dang, too late for us: not knowing any better and basically playing monkey-see, monkey-do, we ended up tying our pretty ding-dang good fortunes to the strings surrounding one of the trees on the Shrine’s grounds…. I guess we need to return there, ASAP, to pull a fortune that we can take home and keep!! The times around midnight on January first are much more significant here as sonorous reverberations of cast-iron bells ring to coincide with the dawn of the New Year. 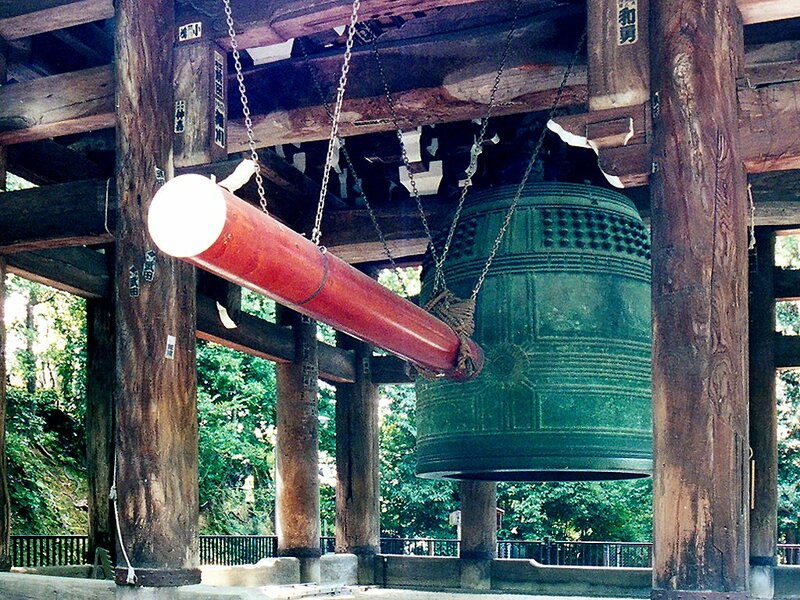 At midnight on December 31, Buddhist temples all over Japan ring their bells a total of 108 times (除夜の鐘 joyanokane) to symbolize the 108 human sins in Buddhist belief, and allow the Japanese to cleanse themselves of such trespasses of the previous year. This is a ritual that we will make a point to take it next year. I already can’t wait! Of course meals during this time are ritualistic. 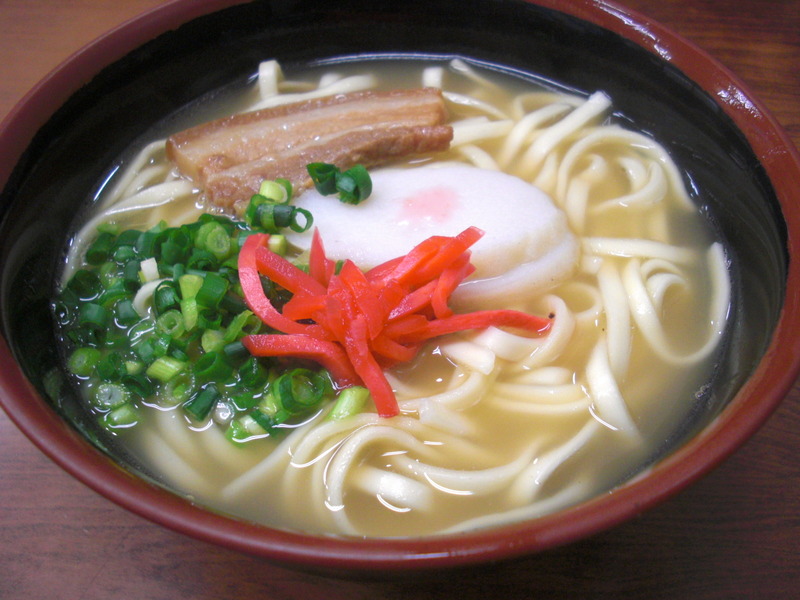 A common meal on New Year’s Day in Okinawa is toshi-koshi-soba, literally “year-crossing noodles,” when the sound of slurping the long soba noodles helps to secure lasting good fortune for the eater’s family. We, quite by accident, happened to have soba on New Year’s Day, and maybe, just maybe, this will make up for tossing our good fortunes at the shrine! 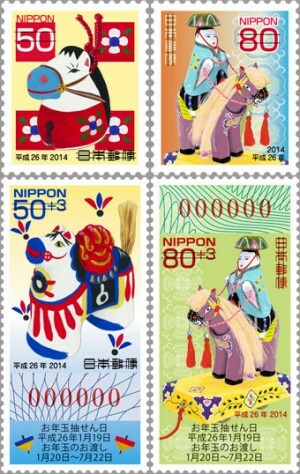 Sending New Year’s cards – nengajo – to relatives, friends, teachers, classmates, and co-workers is a very important custom in Japan. The cards must be delivered after January 1st, and the Japanese Post actually accepts and holds New Year’s cards, marked “nenga“ under the postage, from mid-December for delivery starting on the 1st! But they must never be delivered to a family in mourning who refuse to accept such New Year’s greetings. 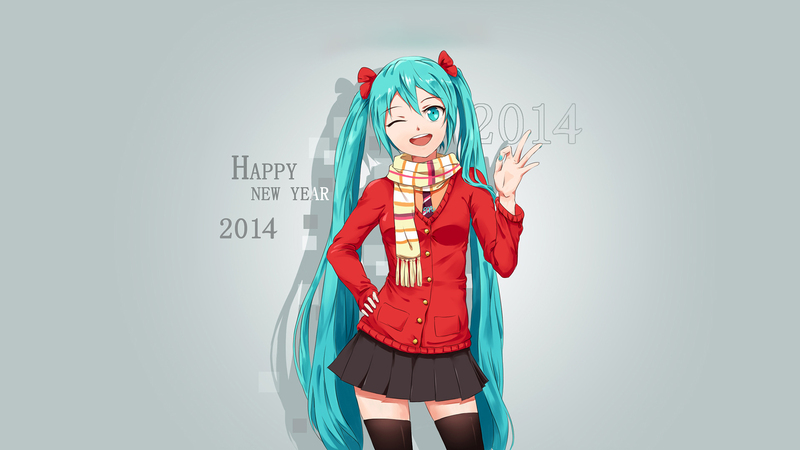 See here for some really funny if not odd Japanese New Year greetings!! 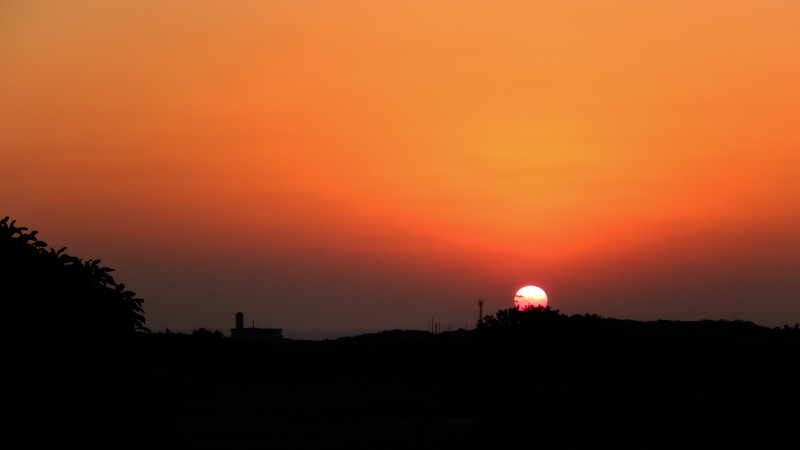 Celebrating the New Year in Japan is also analogous with marking “firsts.” Hatsuhinode (初日の出) is the first sunrise of the year, and many Japanese will drive to the coast or climb hills and mountains so that they may be some of the first to see the first sunrise of the New Year. 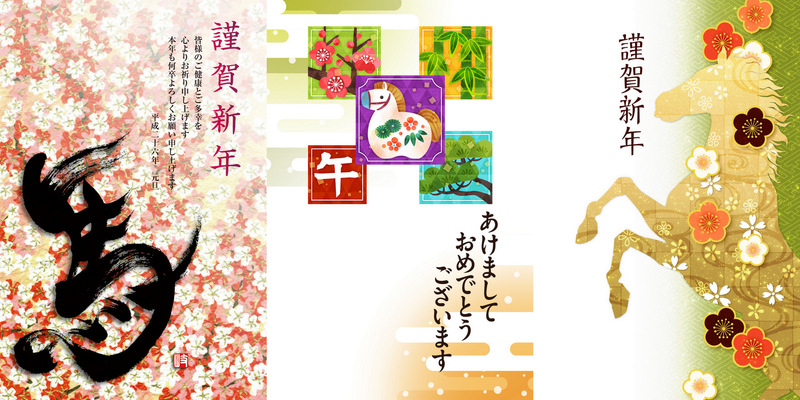 Kakizome is the first calligraphy written at the beginning of a year, traditionally on January 2. 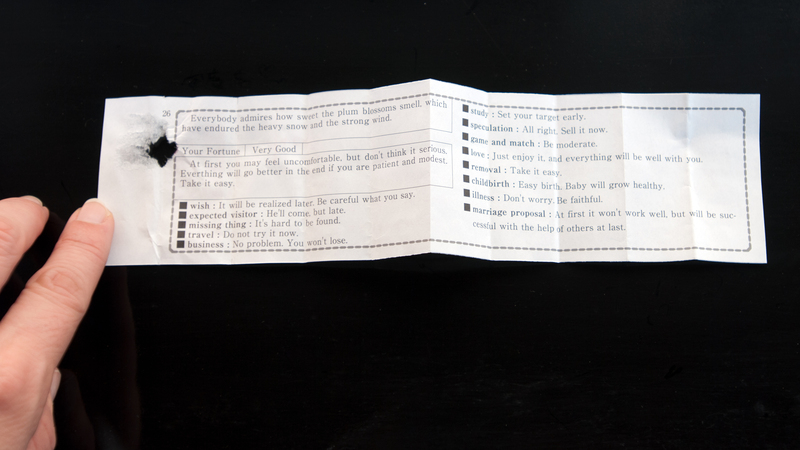 “First laughter” (waraizome) is an important to express at midnight. First dreams (初夢, hatsuyume) are often recorded and retold, and “first letters” (hatsudayori), often in the form of haiku, are exchanged. Shigoto-hajime (仕事始め, the first work of the New Year), keiko-hajime (稽古始め, the first practice of the New Year), hatsugama (the first tea ceremony of the New Year), and the hatsu-uri (the first shopping sale of the New Year) are all special events here that hold equally special meaning. 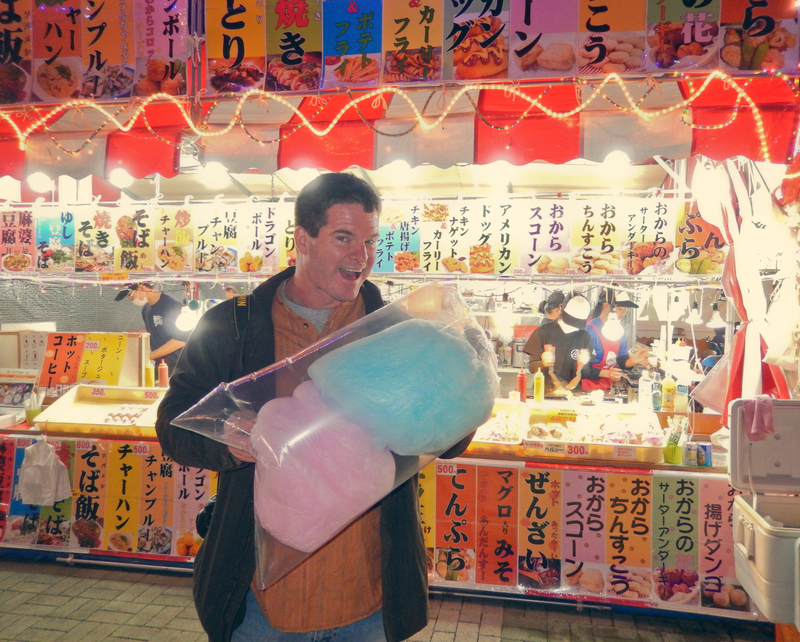 Equally as Important: the FIRST cotton-candy of the year…. With all its ritual, tradition, and celebratory “firsts,” the New Year here is a grandiose reminder of the constant and relentless passage of time. Such passage is welcomed, encouraged and embraced, warmly and spiritual in Asia. However you decided to celebrate the New Year and time’s passage, and whatever you have resolved or wished, Happy New Year to one and all. And please, whatever you do in this coming year, take heart the lesson of the opening Chinese proverb: enjoy yourself this year. Time’s passage can be insidious, but always relentless; more likely than not, it’s later in our lives than we all would like to think. There is anime for EVERY occasion! This entry was posted in New Year, Okinawa Living and tagged adventure, Asia, buddhist, celebration, culture, custom, holiday, japan, new year, Okinawa, ritual, shinto, travel. Bookmark the permalink.